These are the Terms and Conditions of Quotation and Sale (“Terms and Conditions”) of all products supplied by Jim’s Electrical, except as otherwise expressly agreed upon in writing between a duly authorised officer of Jim’s Electrical and the customer, the following Terms and Conditions shall apply notwithstanding any provisions to the contrary which may appear on any document or agreement between the Customer and Jim’s Electrical. 1. Definitions “Customer” means the person/s placing the order for Works and/or products supplied by Jim’s Electrical to the Customer as specified in any invoice, document or order. The customer warrants that they have the power to enter into this agreement and has obtained all necessary authorisations to allow them to do so. “Jim’s Electrical” means the franchisee that the Customer is contracting with whose business name and ABN appears on the quotation, invoice, receipt or TCA provided to the Customer. “Works” means any services rendered, products delivered or any future or completed work done by Jim’s Electrical. (A) All orders placed with Jim’s Electrical shall only be accepted subject to these Terms and Conditions. The Customer has exclusively accepted and is immediately bound by these Terms and Conditions if the Customer places an order for the product/s or services, signs any Quote, pays the deposit, continues to provide instructions and/or accepts the product/s or Works. (B) Jim’s Electrical may, at any time, alter these Terms and Conditions and such altered Terms and Conditions shall apply after notification by Jim’s Electrical to the Customer. (A) If there is any error or omission in the Quote, Jim’s Electrical reserves the right to change the contract sum on the Quote. This clause applies even if the Quote has been accepted by the customer. Prices quoted are subject to final costing assessment by Jim’s Electrical. (B) Upon acceptance of the Quote by the Customer, Jim’s Electrical may require a deposit to be paid prior to any Works being commenced by Jim’s Electrical. This deposit is at the sole discretion of Jim’s Electrical. (C) Notwithstanding any other clause, the contract sum on the Quote will only be valid for 30 days from the date of the quotation. Jim’s Electrical reserves the right to make any changes to the Quote if the 30 days lapses. (D) At Jim’s Electrical’s sole discretion a portion of or the full amount of the deposit may be non-refundable. The amount that is non-refundable is a true estimate of costs and expenses spent to date. (E) Jim’s Electrical reserves the right to make any changes to the quotation including but not limited to the contract sum if either: (i) a variation is requested by the Customer, or (ii) a Quote has not been fulfilled within 30 days of the date the Quote was produced. Any variation from the quotation, schedule works or specifications will allow Jim’s Electrical the right to stop the progress of any works until Jim’s Electrical and the Customer agree to changes. Payment for all variations must be made in full at the time which they are raised. (F) After Jim’s Electrical accept your order you may not cancel the order unless Jim’s Electrical agree in writing. Jim’s Electrical reserve the right to supply an order in full or only in part. (A) The customer shall make payment according to the Quote or unless the Customer has been granted a credit account. Granting of a credit account shall be at the absolute discretion of Jim’s Electrical and unless otherwise demanded by Jim’s Electrical the Customer granted credit account shall make payment within the terms approved in the credit account. (C) The Customer shall not be entitled to set off against, or deduct from the contract sum, any sums owed or claimed to be owed to the Customer by Jim’s Electrical nor to withhold payment of any invoice because part of that invoice is in dispute. (A) Any date or time quoted for delivery and completion of the Works is an estimate only and Jim’s Electrical shall endeavour to complete the Works at a time or times required by the Customer, but failure to do so shall not confer any right of cancellation, termination or refusal of delivery on the Customer’s part or render Jim’s Electrical liable for any loss or damages directly or indirectly sustained by the Customer as a result thereof. (B) The Customer will not be relieved of any obligation to accept or pay for products by reason of any delay in delivery or any strike, lockout, unavailability of raw materials, accidents to machinery, differences with workmen, breakdowns, shortages of supplies or labour, fires, floods, storm or tempest, transport delays, acts of God, restrictions or intervention imposed by any Laws, regulations, Governments or agency’s thereof and any other cause beyond the control of Jim’s Electrical or any other cause whatsoever. (A) The customer shall examine the products immediately after delivery and Jim’s Electrical shall not be liable for any misdelivery, shortage, defect or damage unless Jim’s Electrical receives details in writing within 14 days of the date of delivery of the products. (B) If Jim’s Electrical are employed to install said product/s the Customer shall not open, dismantle or otherwise handle the product/s. (A) Notwithstanding delivery of the product/s or their installation, property in any given products shall remain with Jim’s Electrical until the Customer has paid and discharged any and all other indebtedness to Jim’s Electrical on any account whatsoever including all applicable sales taxes and any other taxes, levies and duties. Any payment made by or on behalf of a Customer which is later voided by the application of any Statutory Provision shall be deemed not to discharge the Customer’s indebtedness and in such an event the parties are to be restored to rights which each respectively would have had if the payment had not been made. (B) The Customer acknowledges that they are in possession of the products solely as a bailee for Jim’s Electrical until payment as defined in clause 4(A) has been made in full to Jim’s Electrical and until such payment, the Customer shall be fully responsible for any loss or damage to the goods whatsoever and howsoever caused following delivery. Jim’s Electrical shall not be liable for any failure or delay in supply or delivery of the products or Works where such failure or delay is wholly or partly due to any cause or circumstances whatsoever outside the reasonable control of Jim’s Electrical including, but not limited to war, strikes, lockouts, industrial disputes or unrest, government restrictions or intervention transport delays, fire, act of God, breakdown of plant, shortage of supplies or labour, storm or tempest, theft, vandalism, riots, civil commotions or accidents of any kind. 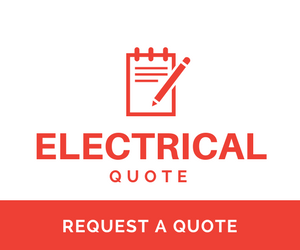 If any products and Works specified within this quotation are unavailable at the time of the works being carried out, Jim’s Electrical in its absolute discretion may substitute a reasonable alternative. (A) To the extent required by statute, subject to the conditions of warranty as may be set out in The Australian Consumer Law located in Schedule 2 of the Competition and Consumer Act 2010 (Cth) Jim’s Electrical warrants that if a defect in any of the Works carried out by Jim’s Electrical is reported to Jim’s Electrical within 12 months of the date of completion, then Jim’s Electrical will either replace or remedy the Works subject to these Terms and Conditions. (i) Defect or damage caused which may be caused or partly caused by or arising through the failure of the Customer to properly maintain any Works, follow any instructions or guidelines provided by Jim’s Electrical, use of any Works in any other way than is outlined in the quotation or by the Customer’s negligence. (ii) The Customer continues to use any of the works after any defect becomes apparent or would have become apparent to a reasonably prudent operator or user. (iii) The Customer allows someone other than a licensed professional to deal with the products. (iv) If the works fail due to fair wear and tear, any accident or act of God. (C) The warranty shall cease and Jim’s Electrical shall thereafter in no circumstances be liable under the terms of the warranty if the works are repaired, altered or overhauled without Jim’s Electrical’s express written consent. (D) In respect of all claims, Jim’s Electrical shall not be liable to compensate the Customer for any delay in either replacing or remedying the workmanship or in properly assessing the Customer’s claim. (E) If Jim’s Electrical must make an inspection outside of our premises, Jim’s Electrical may charge the Customer for all reasonable costs incurred including labour, travelling and other out-of-pocket expenses incurred if the fault or defect is deemed to be outside this warranty. (F) Where the Customer seeks to have defective goods replaced, Jim’s Electrical must have received notice within 6 months of the Customer receiving them and the goods must be returned to Jim’s Electrical within 12 month of the Customer receiving them. (G) Components and parts from third party suppliers are subject to the same warranty (if any) as is extended to Jim’s Electrical by the supplier. (H) If Jim’s Electrical replace defective goods, ownership in those defective goods transfers wholly and unconditionally to Jim’s Electrical. (I) If a claim is made by a Customer and Jim’s Electrical, after assessing the item, deem this to be out of warranty, Jim’s Electrical will make reasonable attempts to contact the Customer to arrange for the items to be returned. If, after 30 days, the Customer has not made arrangements to have the goods returned, Jim’s electrical may dispose of the goods at the Customer’s expense. (J) Time is of the essence in relation to all stipulated time requirements in this clause. (A) It is the sole responsibility of the Customer to check and confirm the order with Jim’s Electrical prior to signing the Quote. Jim’s Electrical will not be held liable for incorrect orders. (B) It is the responsibility of the Customer to ensure that the Works can be completed without interruption, in a continuous work flow and on the mutually agreed date. Jim’s Electrical reserves the right to charge the Customer any extra costs incurred by Jim’s Electrical by virtue of interruption including but not limited to additional return to site charges and travel costs. The customer shall be fully responsible to ensure that plumbing, electrical installations and any other installations not specified within this quotation do not foul the work area and associated areas. The customer shall be fully responsible for any necessary foundations. (C) The Customer shall ensure that Jim’s Electrical has clear and free access to the work site at all times to enable them carry out the Works. Jim’s Electrical shall take all due and reasonable care when delivering and installing the product/s in accordance the Terms and Conditions. Jim’s Electrical shall not be liable for any loss or damage to the site. (D) The Customer accepts all liability for, and indemnifies Jim’s Electrical against, any custom orders or additional requests that are outside the usual scope of works, including but not limited to anything that is labelled as a “client/customer requirement”. The usual scope of works, and what is outside same, is determined solely by Jim’s Electrical. (E)Jim’s Electrical accepts no liability for the visual presentation or noise levels of installed products. (A) If the customer fails to comply with any of these Terms and Conditions or being a natural person or persons commits any act of bankruptcy or being a corporation passes a resolution for winding up or liquidation (other than for the purposes of reorganisation or reconstruction) or enters into any composition or arrangement with creditors or if a receiver or manager is appointed for any property or assets of the customer or becomes liable to be wound up by reason of insolvency or if any petition is presented for its winding up, or if a Liquidator or Provisional Liquidator is appointed, Jim’s Electrical may, in addition to exercising all or any of its rights against the customer, suspend any further deliveries and immediately recover possession of any products not paid for in accordance with the Terms and Conditions. Jim’s Electrical will not be liable for any loss or damage the Customer suffers as a result of Jim’s Electrical exercising its rights under this Clause. (B) If a Customer cancels or alters any order or part order for any product at any time after Jim’s Electrical has received the order then Jim’s Electrical reserves the right to charge to the Customer the cost of any product/s or materials already acquired for the order together with cost of labour and tooling expended to the date of such cancellation or alteration. This is a genuine estimate of costs and expenses incurred by Jim’s Electrical to date. (C) Jim’s Electrical reserves its rights as Seller under the Sale of Goods Actor similar State or Territory laws. (iv) the materials supplied or will be supplied by Jim’s Electrical to the Customer are collateral for the purposes of the PPSA. (B) The Customer waives any right the Customer has under the PPSA to receive notice in relation to registration events. (C) The Customer and Jim’s Electrical agree that neither party will disclose information of the kind specified under Section 275(1) of the PPSA. (D) Jim’s Electrical may elect, at its absolute discretion and at any time, that any section of the PPSA specified in Section 115 will not apply to the extent permitted by Section 115. (E) This clause shall survive the Termination of the Contract. (i) Jim’s Electrical collects personal information such as contact details, bank account details, insurance details and credit card details and holds such information for seven (7) years. The purpose of the collection of personal information is only for internal use. (ii) they have been informed by Jim’s Electrical that personal information about them may be disclosed to or acquired from or to a credit reporting agency. (i) that Jim’s Electrical may contact any trade references or other credit references at any time whether now or in the future for the purpose of assessing credit worthiness. (ii) To Jim’s Electrical receiving from any other credit provider or providing to any credit provider any information whether by way of report record or otherwise relating to credit worthiness for the purposes of exchanging information, assessing credit worthiness and notification of default at any time whether now or in the future. (iii) To Jim’s Electrical obtaining from a credit reporting agency a credit report on the Customer for the purposes of assessing any credit application and the Customer further consents to Jim’s Electrical obtaining such reports from time to time for the purposes of assessing credit worthiness during the continuance of credit provision. (iv) To Jim’s Electrical obtaining from a business which provides credit information a report or information in relation to the Customer’s commercial credit worthiness or commercial dealings and using such information for the purpose of assessing the Customer’s application for credit. (v) That, in the event of default of payment of any of their debts, Jim’s Electrical may disclose all information relating to the Customer’s account to its collection agency for the purpose of receiving any or all amounts outstanding. (A) If any clause or part thereof of these Terms and Conditions is invalid or not enforceable in accordance with its terms, all other terms or parts thereof which are self-sustained and capable of separate enforcement without regard to the invalid or unenforceable clause or part thereof is and will continue to be valid and enforceable in accordance with its term. (B) The Customer agrees that these Terms and Conditions are governed by and construed in accordance with the laws of the State or Territory of Australia from which this document is issued and the Customer and Jim’s Electrical submits to the non-exclusive jurisdiction of the Courts of the State or Territory of Australia from which this document is issued. (C) Subject to other clauses in these Terms and Conditions and implied provisions, Jim’s Electrical shall not be liable whatsoever to the Customer for any indirect, consequential loss and/or expense (including loss of profit) suffered by the Customer arising out of a breach by Jim’s Electrical of these Terms and Conditions. In the alternative, Jim’s Electrical’s liability shall be limited to damages not exceeding the contract sum of the order. (D) Jim’s Electrical may assign all or any part of its rights and obligations without the Customer’s consent. Should you not understand anything statedin these Terms and Conditionsor wish to request any amendments, please contact Jim’s Electrical. If you give us instructions to proceed after receiving these Terms and Conditions, same is taken as acceptance of the terms as disclosed herein.